While making these bookmarks for teacher appreciation week, I found I needed a tutorial for a cloth rosette. To my surprise, there are a number of rosette tutorials out there with a number of different techniques. I thought it was only appropriate that I do a showdown. Here are the tutes, results and my reviews. Disclaimer: I've never done a fabric rosette in my life... this is my amateur trial and error attempt and in no way should reflect badly on the tutorial authors! 1. Cherry Street Cottage: Fabric Flower Tutorial: The fold, hot glue and twist version. This process is very simple really, my only complaint with this version is fighting with the dreaded hot glue. The hot glue makes it very difficult to make this look neat and tidy with the small scale of the project. Try and keep the hot glue dots tiny, and in the center of the fabric strip. You may decide you like the opposite side and you'll have your choice if you're careful with your glue. If you want a looser rosette, you can go in after and glue the bottom to secure it better. 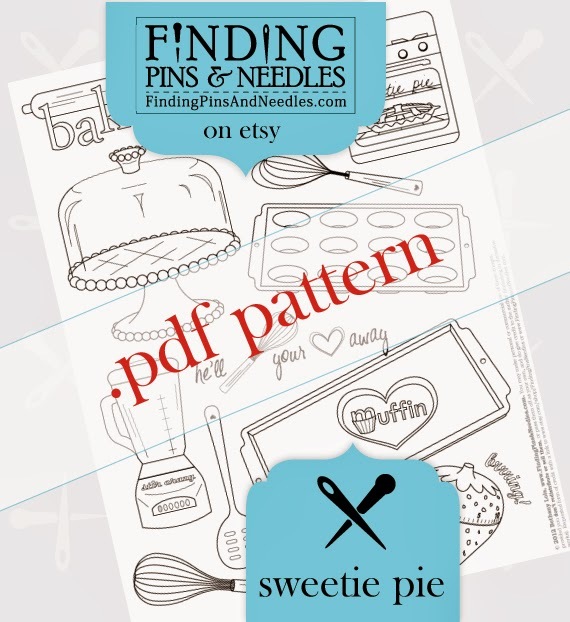 Since this tute calls for a double fold, you may want to glue down the folds ahead of time. This will make the wrapping process quicker. This tutorial is similar to #1. Their differences are the type of glue and in #1, there is folding of the fabric before twisting, requiring a wider piece of fabric. This one just seemed to go really smoothly for me (to be fair #1 was my first attempt, so it's only natural that it would get easier). At first I thought the fabric glue wouldn't hold well enough while wrapping, but it did great. The fabric glue is also much more forgiving than hot glue. I used Sobo glue. My art professor in college is the one who introduced me to Sobo glue, it has worked well for many projects. 2. 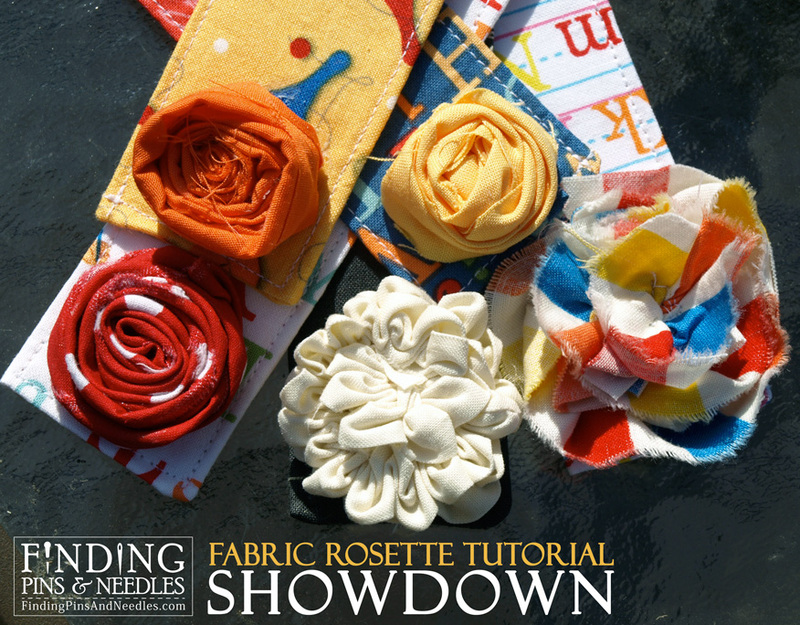 My version of Little Birdie Secrets: fabric rosette tutorial extravaganza! 3. 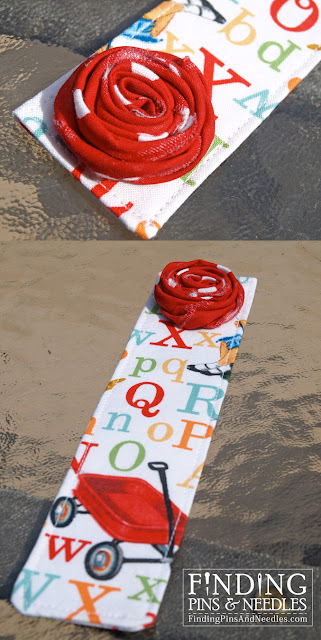 Create and Delegate: Shabby Fabric Roses: The roll and stitch (or glue) version. This tute included rolling the fabric before starting. This proved to be a bit tricky. 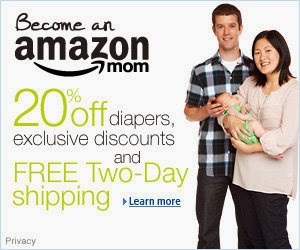 I'd suggest putting a weight on one end while rolling from the other. So far, from #1-#3 I feel like this one turned out the best. The tute suggests stitching but also mentions glue as an option. My first try I stitched. I didn't feel like I had the control that I needed, so I used glue. To each his own. 4. 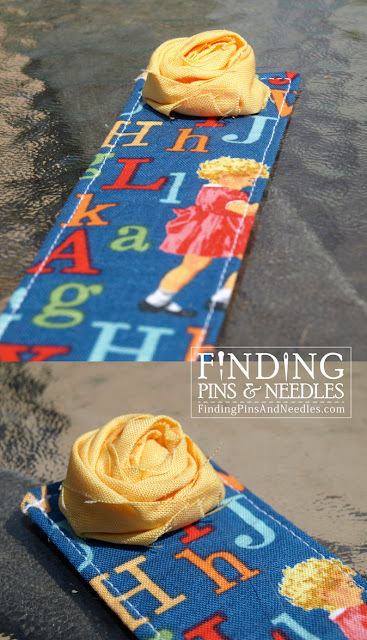 Plumtickled: Fabric Rosette: The gather version. Difficulty: Super Easy...unless...you're a perfectionist. 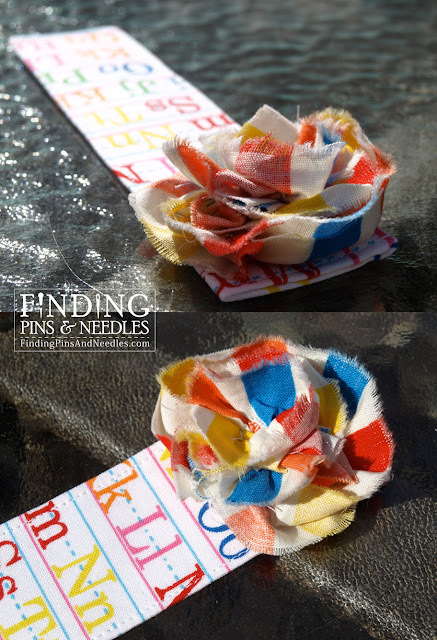 Super fast and easy, but if you want a perfect looking rosette, this is not the tutorial for you. It's really in it's own league. This was the fastest one for me by far! 5. andie johnson sews: Ruched Fabric Flower Tutorial: The hand-stitched ruched version. Difficulty: Medium, or more so time consuming. By far the most time- consuming, but well worth it. I love how this turned out! 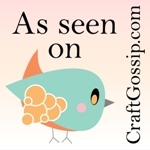 You might recognize the chalkboard fabric from my post Sew Cool for School. I used a felt circle for the backing and trimmed the excess after I sewed it on. 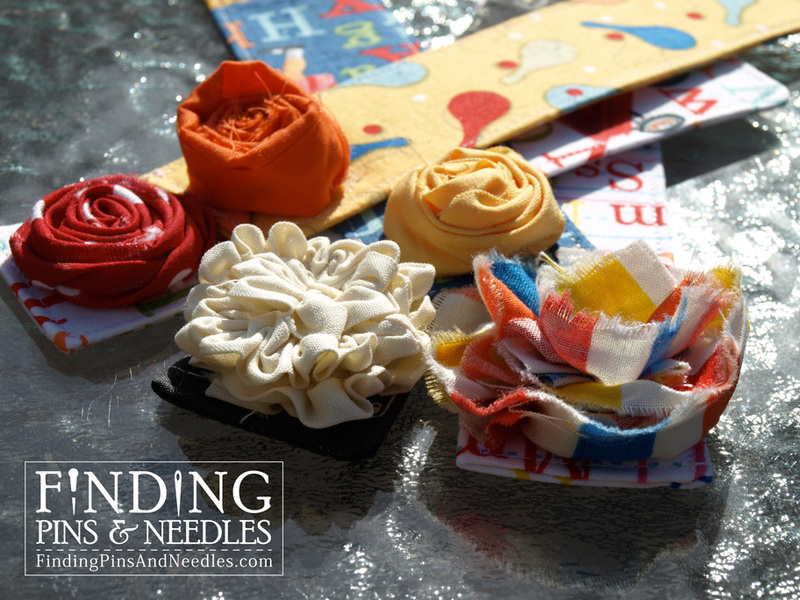 Double up your thread and make sure your knots are secure. I had my thread break on me twice while doing the running stitch. That was extremely frustrating! 5. 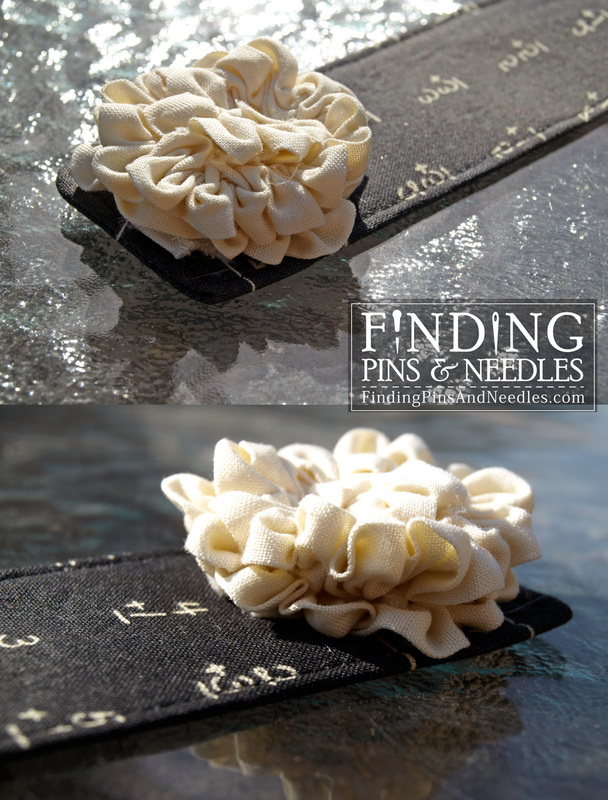 My version of andie johnson sews: Ruched Fabric Flower Tutorial. I'm most likely to use tute #3, #4 and #5 depending on the look I want. #3 turned out to be my best looking "clean" rose, #4 is just plain fast and #5 is just plain cool looking. Good luck everyone and I hope you find the tute that best works for you! 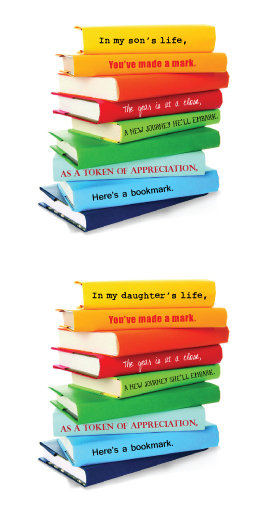 Here's the cheesy little poem I wrote to accompany the bookmarks. Feel free to use it, but please don't redistribute it. Thanks! A new journey he’ll embark. For other teacher appreciation gift ideas: Teacher Tote, Mrs. D's Pencil Pouch, and Bus Driver Gift (Candy in mason jars). You know a different method? Send me the link and maybe I'll do round 2. SoundCloud Customer Support GREAT POST! !